The give in the soft fabric is an opportunity to experiment with body position. 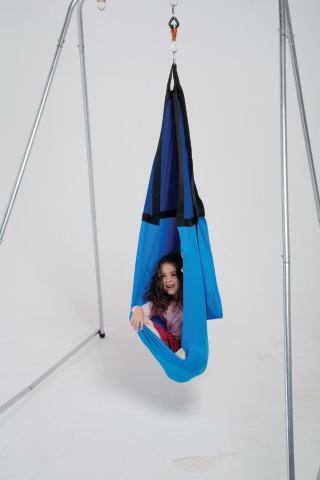 Promotes integration between the vestibular and proprioceptive senses. Made of heavy weight cotton and lycra. Indoor use only. Weight limit: 199 lbs. Attachment hardware not included. We recommend our Quick Release Clips (8TQRC). For rotational movement, we recommend our Swivel (8SWVL). Dimensions: L: 71" x W: 28"